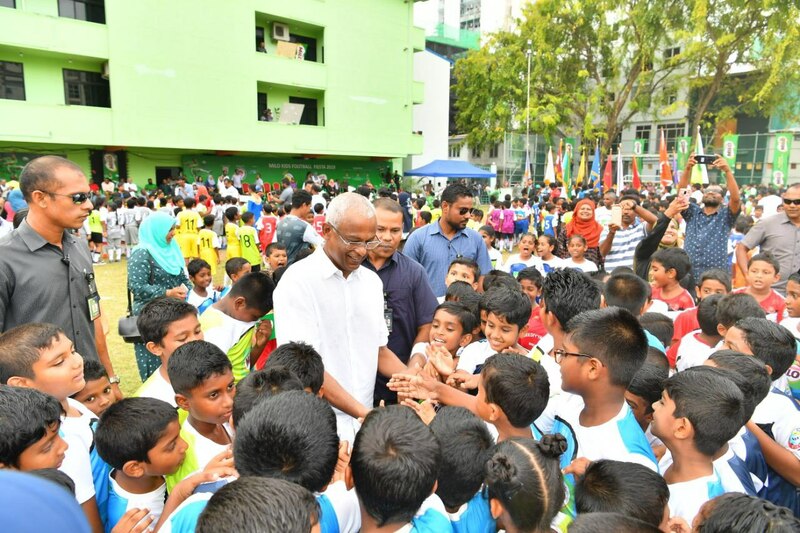 President Ibrahim Mohamed Solih has this evening, attended the closing ceremony of the Milo Kids Football Fiesta, organized by the Soccer Veterans Association of Maldives. The tournament was held at the Henveiru Football Stadium. During the closing ceremony President Solih was presented with the "Fiesta Logo" from the Soccer Veterans Association of Maldives.